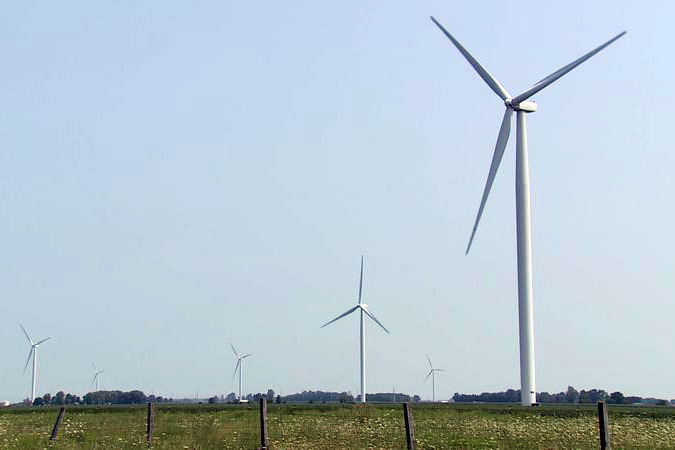 Should Hoosiers Near Wind Farms Worry About Their Health? 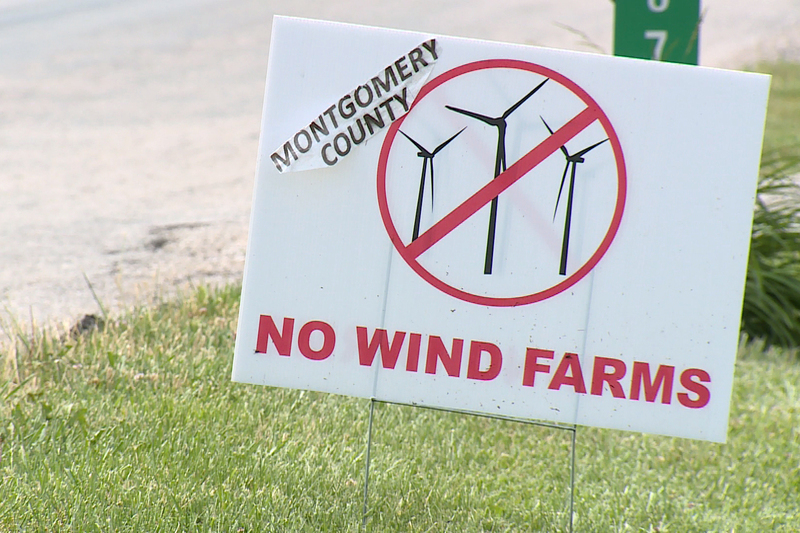 Two companies planning to build wind farms in Montgomery County face opposition because of health concerns. It’s not uncommon for wind farm projects to be contested. There are at least seven groups in the state that either oppose wind turbines in their counties or want stricter ordinances. But there’s not a lot of research that definitively links turbines to negative health outcomes. We looked into some of these concerns and what scientists have to say. 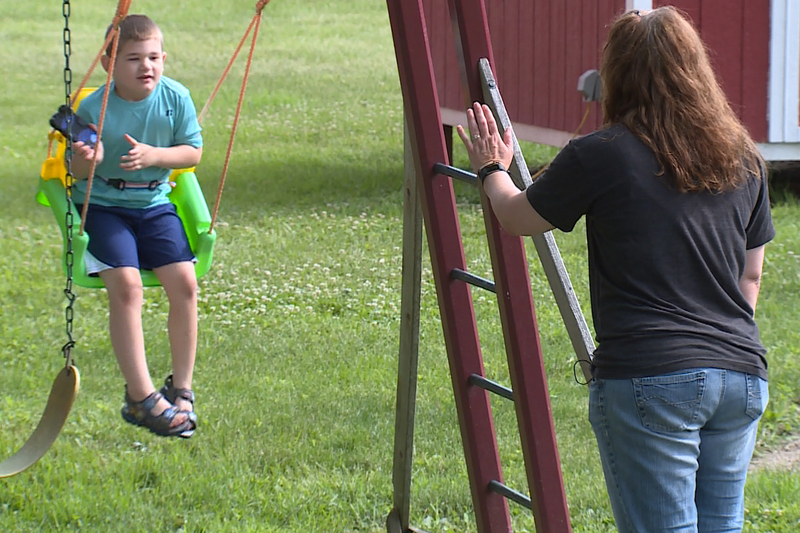 Miriah Mershon’s 7-year-old son Jameson has Dravet syndrome, a rare form of epilepsy. A lot of things can trigger a seizure for him — overstimulation, extreme temperatures, sounds, flashing lights. Mershon says they’ve done a lot of work to make their home a safe space for him. Two wind farm companies are planning projects where they live in Montgomery County. Mershon worries shadow flicker — a kind of strobe effect from wind turbine shadows — could be another trigger. “It may come to the point where we have to say, ‘We have to move,’” she says. Though few reputable reports show any link between wind turbines and health, there are some areas that could use more long-term study. So do wind farms cause seizures? In some cases, yes. According to the Epilepsy Society, there’s a possibility wind turbines could trigger a seizure for three percent of epileptics. Professor Arnold Wilkins researches photosensitive epilepsy at the University of Essex in the UK. “One of the worst contexts is where the turbine blade’s shadow covers a window, cuts across a window because then the illumination of a room — regardless of where you are in that room — is fluctuating and that can be very disturbing, not only for people with epilepsy but everybody else,” he says. 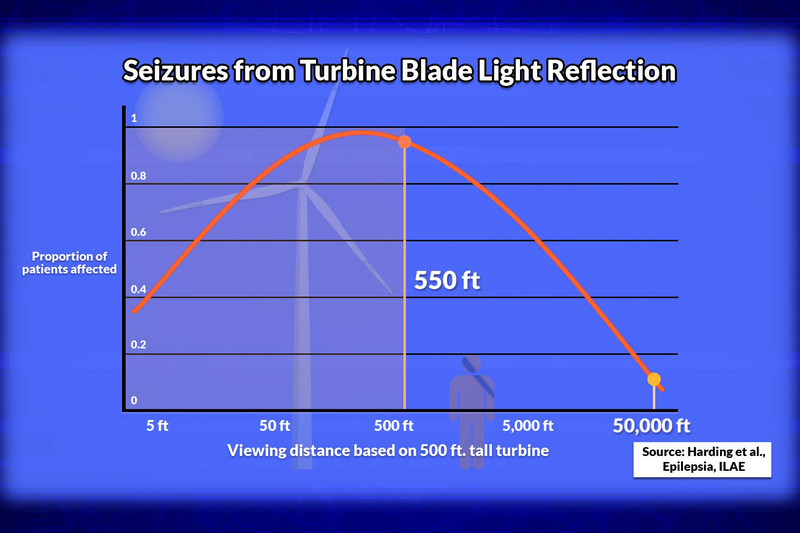 Keep in mind that whether or not someone with photosensitive epilepsy has a seizure from shadow flicker depends on a host of factors — location, weather, time of year, time of day, how fast the turbine is turning, and where the person is standing. In general, Wilkins says said person would have to stand fairly close to the turbine and look at it during sunrise or sunset hours. According to the Epilepsy Society, the wind turbine would also have to rotate at a speed above 3 hertz or flashes per second. Still, Wilkins says for a highly sensitive person like Jameson Mershon, it’s likely he would be affected by a nearby turbine. Another main concern people have about wind farms is infrasound — the low-frequency sound that a turbine gives off as it turns. Some people think it causes many of the symptoms described as wind turbine syndrome. A lot of things in our world make infrasound — from household appliances and cars to ocean waves and even our own heartbeat. Amir Farboud co-authored one of the first peer-reviewed articles on infrasound and wind turbines. He says it’s clear wind turbines produce infrasound and that exposure to infrasound could affect how the inner ear works. “But what you cannot do is put two and two together and make five. You cannot say infrasound from wind turbines causes wind turbine syndrome because there isn’t the clinical evidence out there to make that conclusion,” says Farboud. Farboud himself lives near a wind turbine and says he doesn't experience these symptoms to his knowledge. Wind Turbine Syndrome Or Anxiety? Some researchers say just the act of worrying about wind farms could cause health problems. Simon Chapman is a social scientist and professor emeritus at the Sydney School of Public Health in Australia. He co-authored a book on wind turbine syndrome. “We have an expression someone’s 'worried sick about something' and that’s what can happen. If you’re experiencing anxiety, you can manifest that anxiety in physically measurable symptoms,” he says. Chapman says it can affect things like your heart rate, blood pressure, and how you sleep. Interestingly, Austrailia received so many complaints at one time that the country appointed a National Wind Farm Commissioner to investigate those complaints. But if wind turbine syndrome is really anxiety, what's causing it? Of course, if you think something is making you ill, that would cause stress. Amir Farboud says residents living near a turbine might also worry about what its doing to their property values or perhaps they don't like the way they look. 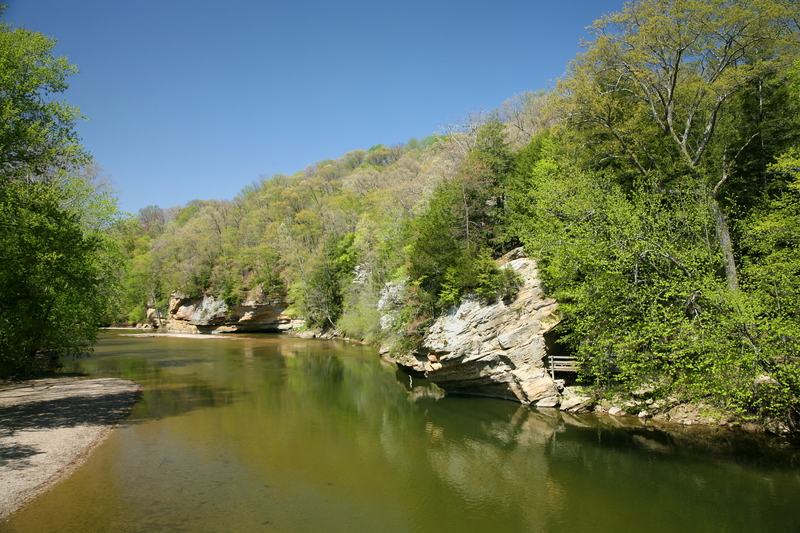 READ MORE: Would A Cass County Wind Farm Violate Landowners' Rights? How Can Wind Companies Dispell Fears? Erin Baker is a senior development manager with Apex Clean Energy — one of the wind companies hoping to build a wind farm in Montgomery County. She’s set up at an office in Crawfordsville, where Baker says she makes herself available to hear resident concerns. Baker says Apex complies with all local, state, and federal laws when putting up it's turbines. 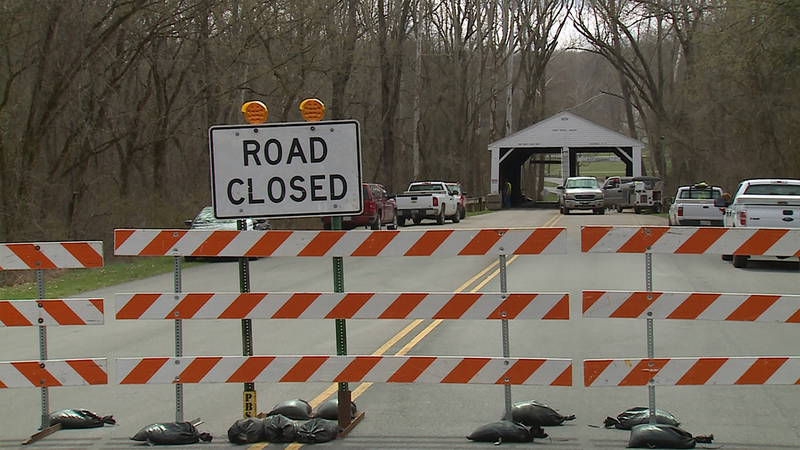 But Baker says, at the end of the day, any kind of business is bound to have some sort of impact on residents nearby. 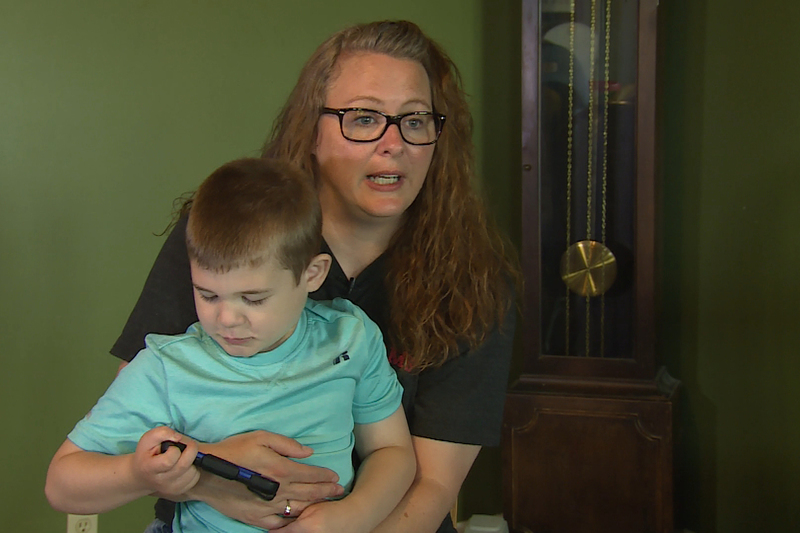 That’s unlikely to comfort Miriah Mershon and her family. “We’re for green energy, it’s just I don’t want something that’s harmful to my son right next to my house,” she says. Both wind companies say they’re still leasing land from interested parties and haven’t decided where the turbines will go. In the science realm, Flinders University in Austrailia is about two years into a five-year study of how sound from wind turbines might affect sleep.